Stark Ultra Cameo obverse! 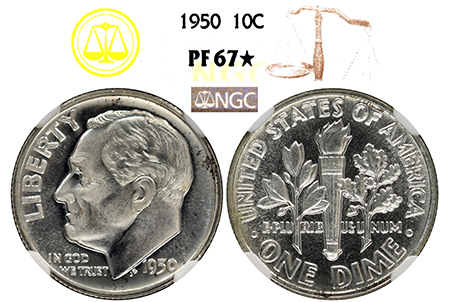 This 1950 offers a RARE Ultra Cameo obverse! Roosevelt is carved out of glowing-white frost and sits on deep, jet-black mirrors. The reverse is fully brilliant with matching mirrors that are haze-free, spot-free, and has some toning along the obverse rim. No visible hairlines, just a stunning 1950 Roosevelt! Only 8 graded by NGC!